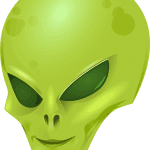 Alien and UFO hoaxes abound in the world of UFOlogy. Did you fall for any of these famous hoaxes? If so, now’s the time to level up your skepticism. A couple had me fooled when I was younger too.